The University of Florida vending services are contracted with and operated by professional vending contractors. Vending machines are located throughout the campus for the convenience of students, staff, faculty, and their guests. All requests to add or remove vending machines on campus must be coordinated and approved by the Business Services Division Office. Contact may be made at Room G072 UF Bookstore & Welcome Center, 392-0306. 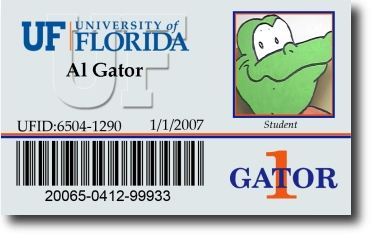 All problems with malfunctioning machines including mechanical failure; out of stock; coin/currency, credit card or Gator 1 card acceptance; and loss of funds may be reported online at www.gator1.ufl.edu. Reports of malfunctioning machines may also be made to the Business Services Division Office at 392-7304. Malfunctioning machines should be reported immediately, so that the vending contractors can be notified to fix the problem to prevent further inconvenience to users. If none of the locations noted above are convenient, refunds for staff and faculty may be obtained by calling the Business Services Office at 392-7304. Signing up is also easy online! Create a new account or add to your existing account by logging in above right now. This page was last updated on 6/4/2013.